« Air Freight Agents: What Can They Do for Your Shipping Process? The participant of thousands of sympathizers outside the PDI-P congress at the Inna Grand Bali Beach, Sanur, Denpasar, Bali, on Thursday (04/09/2015) be a blessing for the traders or trinkets a specially thing at Bali such as clothing, sarongs, beach pants. 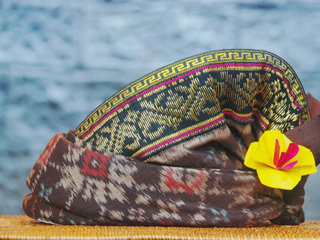 However, the most hunted the cheerleaders are Udeng (headdress Balinese). For Anisa PDIP sympathizers from North Sulawesi, udeng very typical to Bali.”If it wants to find Udeng Bali it’s really typical. Buy all for souvenirs family,” he said. Meanwhile The souvenirs Seller of Made Wardika admitted of merchandise sold most behavior is udeng.”When compared to other souvenirs, Bestsellers udeng hard. Yes, although fortunately only Rp 2 thousand. For the price, Wardika sell udeng starting price of Rp. 20.000 to Rp. 30.000. “Depending on the type and motive, but can be negotiable.